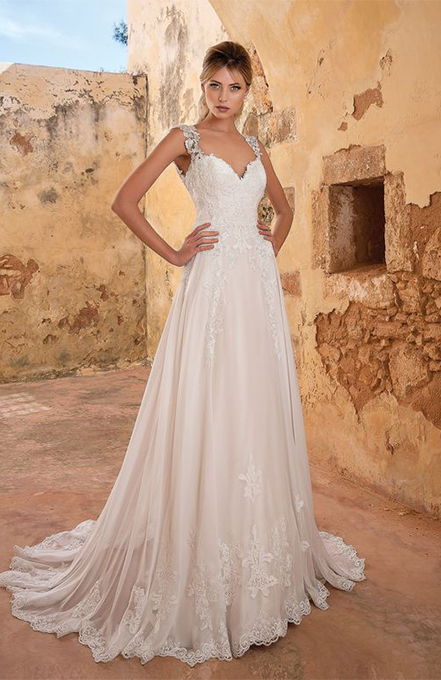 This beaded Venice lace A-line gown is the epitome of timeless romance. 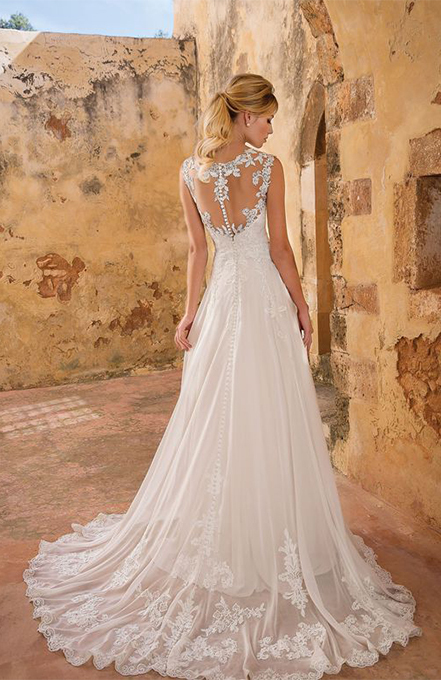 Featuring a Queen Anne neckline and buttons from the back neckline to the end of the train. Soft trim lace accents the hem of this gown to complete the look.